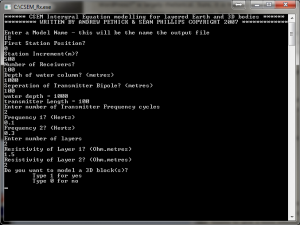 The first CSEM modelling program written in conjunction with Sean Phillips back in 2007. 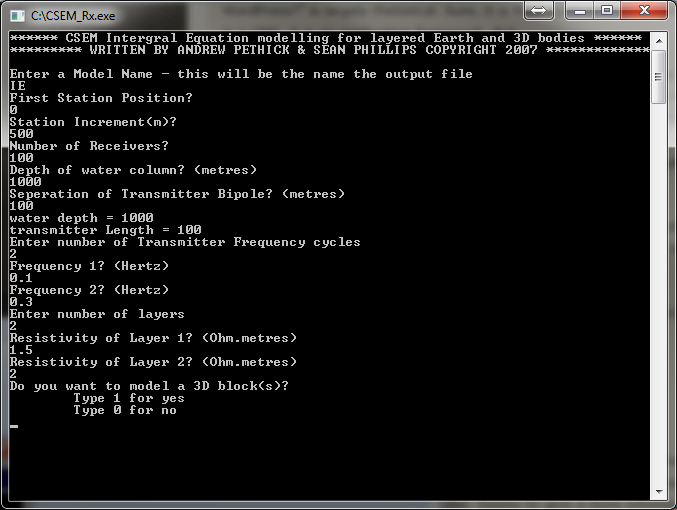 Written in C, received user input and rapidly create input files. 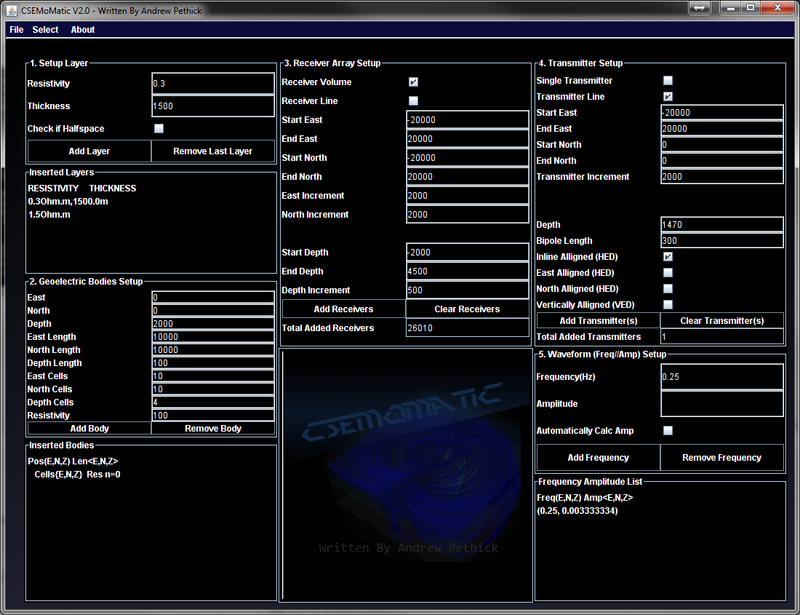 The first version of CSEMoMatic written in Java. This was written to be a wrapper for the Marco EM modelling program. Sure I like making software, but using off the shelf compiled packages is so much easier. So at the start of my PhD I hated the fact that nothing had been created ...my fault researching into a new geophysical field. 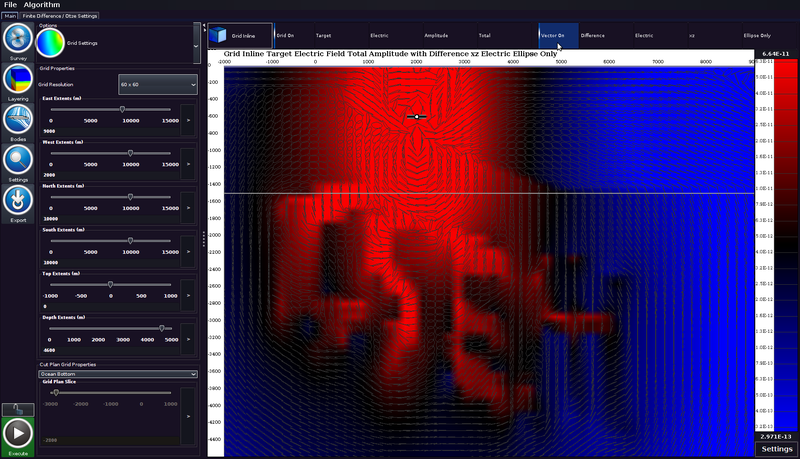 I looked around at my PhD colleagues in the more established seismic and rock physics fields, I realized they had great software and only occasional needed to venture into Matlab if something more complex was required. I was jealous, but it's no point lamenting that nothing exists. After 6 months of toil I had something which others could use. The resulting electric field. CSEMoMatic. While my software was useful, I made a lot of mistakes needed to re-design the software to handle more complex and larger datasets. CSEMoMatic Omnium was an overhaul of CSEMoMatic. The major changes being the data model and the visualization. The original version only allowed a traditional ocean bottom survey with towed electrical source while Omnium allowed any electromagnetic survey design and geometry. 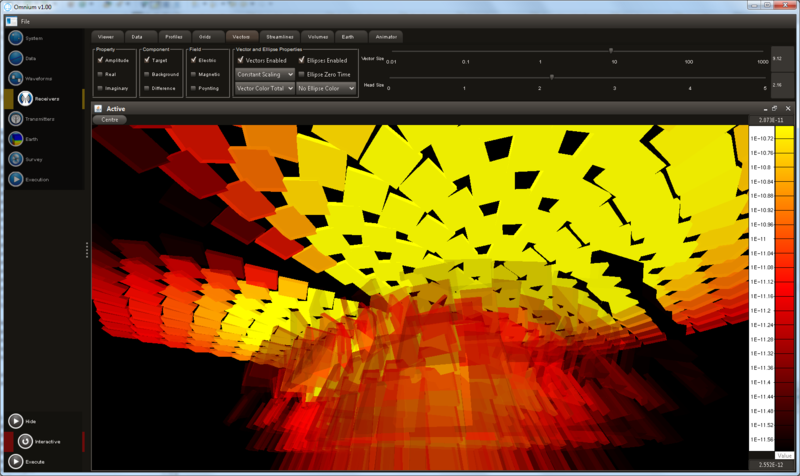 The visualization was drastically improved by moving from Swing to Java OpenGL. Interactively modelling and viewing the fields in 3D was certainly a challenge but was probably the most exciting part of my PhD. I have stopped at this point while it is still in BETA for a number of reasons. Firstly my PhD is over, but more importantly I want to aim for something a larger than marine CSEM. 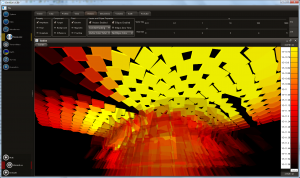 CSEMoMatic Omnium and its sweet 3D viz. I want to develop great geophysical software and bring geophysics (non-seismic) software into the 21st century. You may have noticed, nothing seems to have changed on this site for the last 8 months or so. That's because I am in the middle of developing my super-secret project. So what does it do? Like many of the successful software companies (Looking at you Geosoft), they started as facilitators for potential field geoscientific work, using the work of others and integrating it all in the one package. 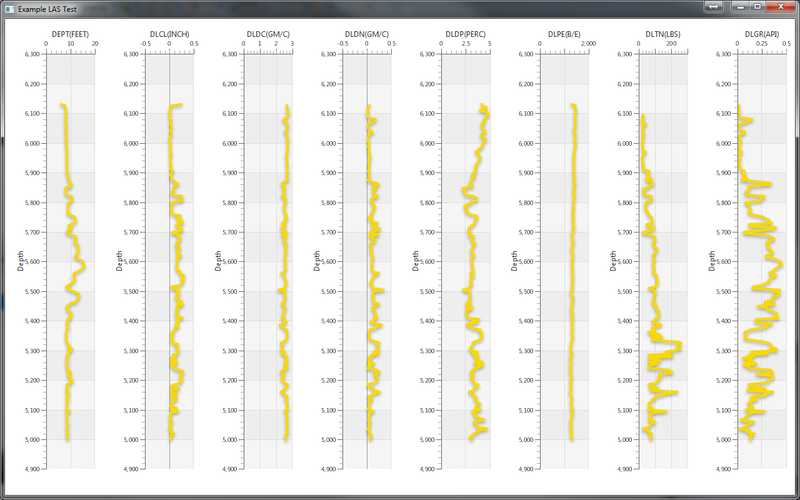 Like others I plan to be a facilitator (or a good communicator) between geophysical software packages and geophysical data standards, enabling forward modelling, inversion, joint inversion, joint forward modelling and visualization across multiple geophysical methods. I am in the middle of developing a common geophysical framework. I plan to start with Wireline logs (Since they are the easiest to deal with) and move on to Airborne Inversion by mid 2014. For your interest I've included a couple of teaser screenshots below. 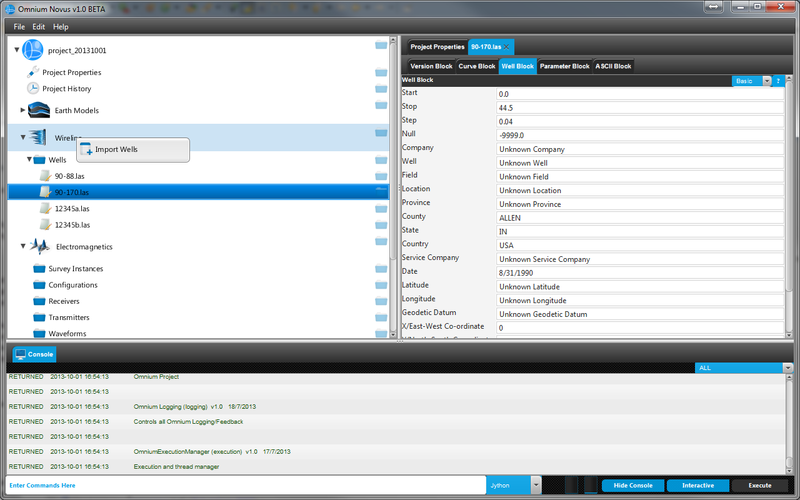 A teaser of the user interface. No this is not a mockup, it is actually running. Keep in mind that most of the work is being made behind the scenes, It will have massively parallel cloud/server based capabilities. 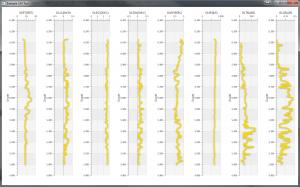 Simple wireline log visualization. 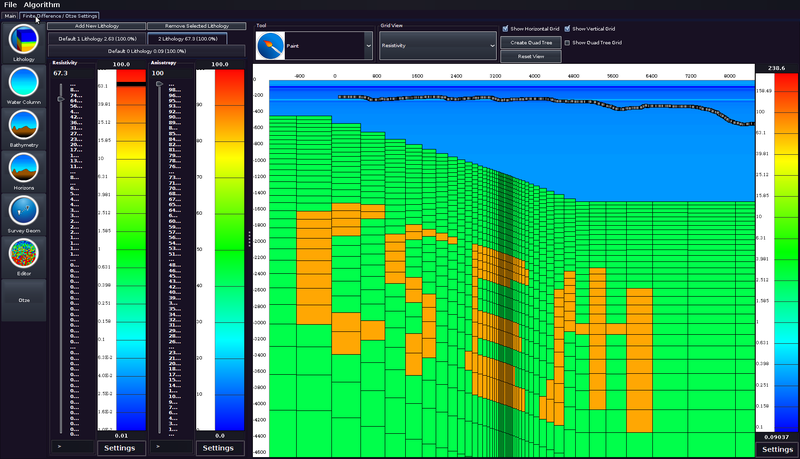 I have designed this software to be able to quickly integrate geophysical data standards and executable. I was happy to integrate the LAS file format in a single day (~10 hours). So once the framework is up and running I expect rapid progress. At some point I plan to quit my day job as a researcher and write code full time. No offense to Curtin University, I've enjoyed my time. I have a vision I want to bring to reality. So either I work for a research consortium (While some good ones exists, I will most likely be bound by red tape instead of coding- Unacceptable!) , develop it as an open source project (make no money and eat noodles for the rest of my life - Better but also unacceptable! ), raise capital and commercialize it (Likely - Any Takers?) or form my own open source foundation or find one with the same goals as myself and raise funding to create free and open source software (Morally better - Still... Any Takers?). I am looking at a late 2014 beta release for my software. So those who are interested in being part of a beta program please contact me. Thanks for being part of the MCSEM.com experiment!